I offer my humblest apologies for lack of action here. I've overwhelmed via work commitments. And during the Summer trying to keep the yard and garden looking quasi-reasonable. But I have been piling up the new musical acquisitions - audio, visual and written at a steady rate. Because of continued time constraints future postings could be on the pithy side for a while - but hopefully still of use. 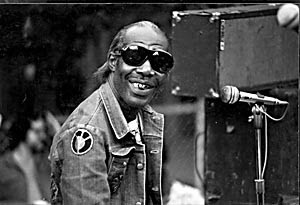 On Saturday got a copy of "Mardi Gras In New Orleans," a new collection of Professor Longhair's work released this year on the Jasmine label. As anyone who's done even a bit of collecting this inestimable artist's work knows - it's one hot mess! He only recorded a handful of albums during his lifetime, most of them only being released posthumously. Meanwhile, he'd recorded a number of singles for a number of small local labeles. A LOT of the albums you'll find are collections drawing from this relatively small body of material, haphazardly curated, with a lot of overlap between 'em. One simple solution is to grab the Rhino 2 CD collection "Fess" and forget about the rest. But while Rhino's does touch on all periods of his career from the earliest to the latest and include a track or two from many of the tiny labels he worked with...well there IS a good amount more music to be had. Your main option heretofore would be just buying a wide variety of collections in order to get a couple additional tracks here, a couple there. ith "Mardi Gras In New Orleans" you get ALL his recordings from 1949-1962. This would be material done for Mercury, Star Talent, Atlantic (all the material both sessions they did with him), Federal, Wasco, Ebb, Ron and Rip. These are sequenced chronologically and thus effectively grouped by label as well. So -- this really straightens out your collection of Longhair for the entirety of his initial rock n roll career in one fell swoop and nicely mastered. Previously, to listen to a batch of this stuff I'd have to throw in the Atlantic "New Orleans Piano," (which seems to only been released on CD years ago - ergo when CD mastering technology was in its infancy) CD1 from the "Gettin' Funky" box set and the Rhino collection - and sound quality an volume would fluctuate wildly and there'd be a lot of duplication. And this music IS all great - but listening under these circumstances was a less than optimal experience. "Mardi Gras in New Orleans" is THE way to hear all this music in readily comprehensible, context with consistent sound quality and volume. And hearing it in proper context does then raise a lot of interesting issues to ponder. Longhair did have a limited repertoire of originals that he came up with right at the outset of his career and didn't add to significantly in the years that follow. HOWEVER, the arrangements he'd employ, the performance techniques he'd use and lyrics would evolve from one performance to the next, often in fascinating ways. While I'm usually of a mind that "First thought, best thought" Fess' technical prowess and conceptulization of his performing did in fact improve notably with age. So...if you are a Fess fan and ready to take a step beyond the Rhino collection, I recommend this highly as well as "Rock N Roll Gumbo" album recorded in the mid 70's and "Crawfish Fiesta," which was recorded in 1980 and released shortly after his sudden, premature death that same year. I'm not knocking the various live recordings available or the other latterday sessions. Just saying, this is a fine place to start.